At the time of his birth. Andrew Baxter McLaren, thereafter universally known as Drew, was born with two inherent disadvantages. Firstly, what child would choose to be born so close to Christmas Day and, secondly, who would choose to be born in that year of all years. Even a subsequent decade of peacetime later austerity and rationing reigned. Nowadays Childline, Facebook, Twitter, social media in general would go into meltdown because of uncontrollable activity. Drew often spoke warmly of his upbringing by his Nan, Pop and uncles and remembered his childhood as a positive and happy experience. At the end of his primary school education Drew passed the qualifying examination (known colloquially as the ‘quali’), which took him to Lindsay High School, Bathgate. Known nationally as the grammar school system it provided a springboard for large numbers of pupils from a working class background to climb the social ladder, even becoming captains of industry. In all the years I knew him, Drew was proud to have been an alumna of that institution and to the end of his days he was still in touch with some former school friends from that time. In fact, his English master would be impressed that he could still recite large tracts from the works of our National Bard, Rabbie Burns. The most famous historical figure from these years was Winston Churchill, making it appropriate now to paraphrase one of his many popular quotations “if you want to know the man, consider the world he lived in when he was twenty”. Like all 20 year olds of the day Drew had lived through armed conflicts, rationing (1940/54), conscription, austerity and also completed his education in a small town known mainly for mining. Very recently, researchers at Warwick University (established 1965) came to the conclusion that 1957 was the happiest year of the last century and that our Prime Minister of the day had probably hit the nail on the head when declaring that “you’ve never had it so good”. Somehow I can’t imagine a Nobel Prize winging its way to the Black Country any time soon. If anything highlights the ambitions and priorities of these differing eras, this does. Earning a living would have been difficult, hours of work long and holidays few and far between. There would not have been a great availability of local job opportunities and a lot of competition for any non mining (both coal and shale) positions. The cult of the teenager had yet to be ‘developed’, as was the age of rock and roll. In other words life was bleak and young lads survived by involving themselves in sport, forming lifelong friendships indelibly bound by mutual loyalty and understanding. 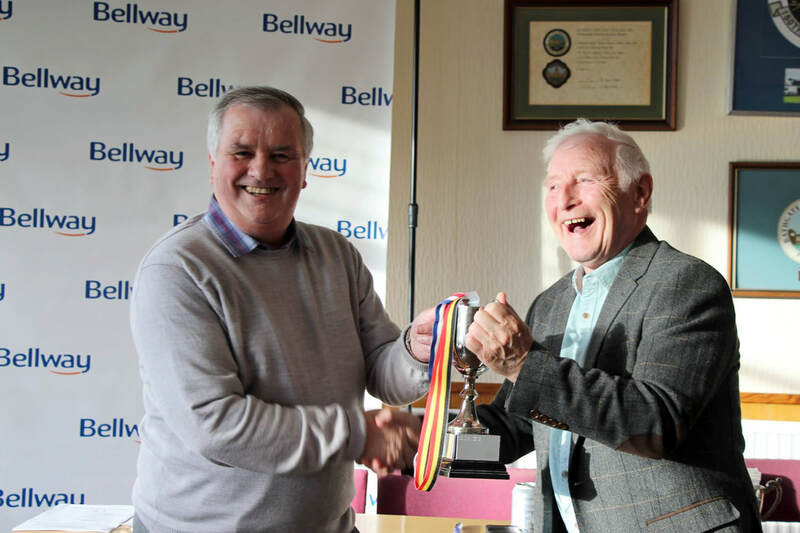 Football became a lifelong passion and Drew starred for local junior teams Armadale, West Calder and Blackburn which won the prestigious Brown Cup. Such was his ability that at quite a young age there was an opportunity of a trial with one of England's premier teams of the time, Sheffield Wednesday which had just won promotion to the top tier of English football. Their team of now should not be assumed as the team of then as it boasted several English internationalists. Unfortunately, Drew missed the trial because of a broken bone. Two others did manage and were signed. He was also well known in West Lothian's various golf courses, particularly Bathgate and Fauldhouse. On leaving school Drew found an apprenticeship in the town’s iconic Menzies Foundry which provided skilled employment for generations of the local population. Some separate study of this business is well worth reading, for instance at www.independent.co.uk/news/obituaries/george-macbeth-menzies-36282.html as it is still spoken of with great pride by the older generation. To counter rising unemployment levels in Bathgate the town was declared a Special Development Area in 1961 and this attracted BMC, the forerunner of British Leyland. Wages being higher on the shop floor there encouraged many of the local skilled tradesmen to transfer their allegiances resulting in the death knell of their erstwhile employers, including Menzies. The strategy comes very much under the heading of ‘be careful what you wish for’. With a history of bad industrial relations the factory closed in 1986 and is now best remembered within a refrain in the Proclaimers’ song ‘A Letter from America’ - Bathgate no more, Linwood no more etc. Somewhere along the way Drew joined Unisys and by 1992 was working for them in Detroit, USA. He returned to become a newsagent before selling up and finding further employment with a subsidiary of Rangers F.C within the confines of Ibrox Stadium. In 1965 Drew married Mary Campbell who became his much loved, life long partner. By 1970 Drew was very much the family man subsequent to the birth of a son (Tom) and daughter (Christine). In those days this would be referred to as a ‘gentleman’s family’. In later years Drew and Mary took up quite different interests. Drew’s are only too well documented but Mary took up rambling and bridge, neither of which interested Drew. I suspect that Drew would find it difficult to exercise without hitting or kicking something and would be in awe of Mary’s ability and serenity to take part in a cerebral card game. Around 2000 I was introduced to WLTTC, then in its infancy, when Charlie Flint, Davie Dall and Drew McLaren were key figures in its organisation. Now, for very differing reasons none is still a member making the search for new people to step up to the mark to safeguard that legacy an urgent priority. Despite the fact that I had already played table tennis for 42 years Drew became the first person to use a superlative to describe my ability when he exclaimed “McCulloch, you’re the luckiest player ever”. A few moments passed before I consoled myself with the thought “better lucky than good”. However, I soon found that that particular accolade was transferred with great regularity, usually to any player opposing Drew at any given time. Self deprecation was also a regular occurrence when he referred to himself as “donkey” followed by “hee haw, hee haw” when he missed what he considered an easy opportunity to win a point. Once, when he took exception to his description in a West Lothian Courier article he bounded over to the reporter and enquired “what do you mean calling me an old warhorse” and followed by braying like a horse before laughing. 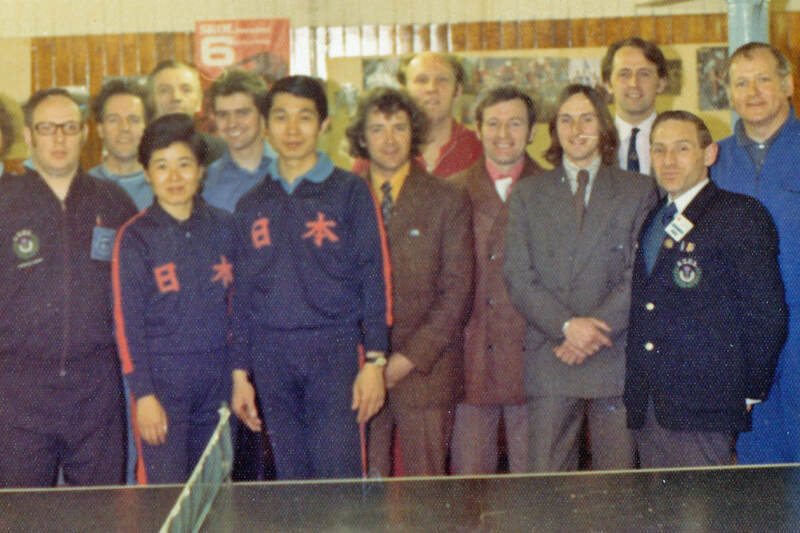 After being at the club for a few years I came across some old photos taken c1974 when a Japanese team, complete with a World Champion, visited Scotland. One particular photo included a group of Scottish coaches (including me) and when a sharp eyed member commented “isn’t that Drew in the front row” and sure enough that was the case. It turned out that our relationship pre-dated 2000. The photo also includes many well known and respected coaches of the day. In fact, it was only in September that he returned from representing the Scottish Veterans team at the Six Nations Championships in Guernsey complaining of feeling unwell. Representing his country so late in life was a source of pride, enjoyment and a host of new friends. Drew was just as passionate an armchair sporting enthusiast, being a season ticket holder at Ibrox and an avid television follower of Andy Murray. In periods of difficulty Drew was known to phone Walter Smith to offer tactical advice to the Rangers boss but Walter was unavailable when he called. Similarly, when he became concerned about Murray’s serving action he unsuccessfully attempted to get his suggestion through to a close relative. No doubt, their loss! I’m picturing Drew shouting “Donkey!” and thinking that’s probably what he’d say about this - a compassionate good friend to us all... a great teacher and friend. I had him as a Coach at the old community centre in Marjoribanks Street and I learned so much from him. In fact I won competitions in 1976/77 with Drew as a much respected coach. After returning from living and working abroad, Drew persuaded me to come back and play. I also knew Drew away from table tennis, especially on the Golf course, where he was just as voracious a competitor. Outwith all of this Drew was a kind, considerate, caring individual who gave freely of his time and someone I am proud to know as a friend for over 40 years. Drew was a very competitive player who greatly encouraged all around him. He always had a story to tell you whether TT related or otherwise and seemed to get closer and closer and more intense as the tale unfolded. He could be a grumpy wee terrier with an opinion on everything, and was well liked because of it. If ever there was a man with a bark worse than his bite it was Drew, but a great competitor for all that. 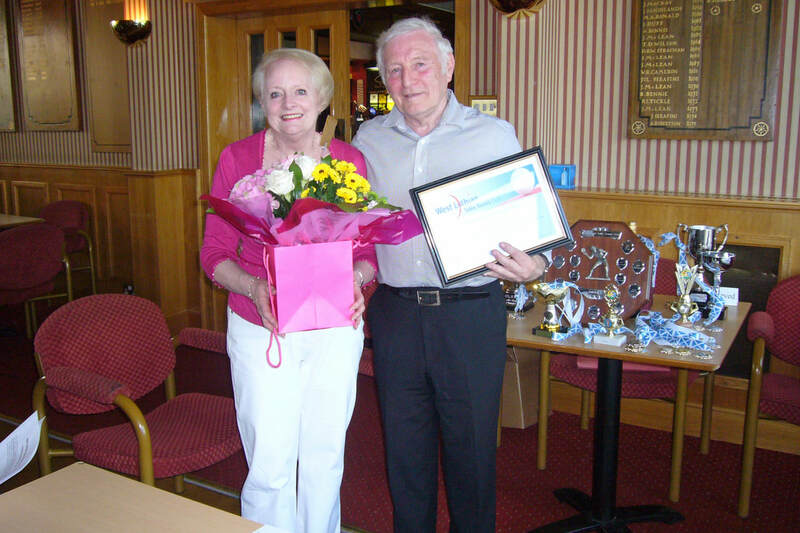 He had a heart of gold and did a huge amount of work for the TT club and will be sorely missed. Drew could get the guys to co-operate where other management failed. They went as part of a team to Detroit in 1992 but Drew returned early to take a manager's job with Unisys. Can’t speak highly enough about Drew. I first met Drew playing an away match in 2013 against West Lothian Table Tennis Club - typically he came back from 0-1 & 1-2 down and beat me in the 5th set. A ferocious competitor whether in a match or just having a 'knock' on a club night, and always a good story or anecdote between games. Later when I joined the club he could not have been more welcoming and was just a top guy to be around. A real sad loss and will be sorely missed. Having lived in Bathgate for almost all his life, been involved in many local community organisations, as were his wife and family, Drew was a well known kenspeckle figure about Bathgate. In the final analysis we are all shaped by our upbringing, environment, education, ambition and opportunities and Drew is testament to that. Each of these factors contributed to his sense of humour, his appreciation of community, his love of family, his expressions of loyalty, his respect for duty and competitiveness. When summarising Drew’s life and contribution to family, community, colleagues and friends, one can draw some inspiration from his main sporting affiliation - Simply the Best! Two grumpy old men captured smiling – at the same time too!